I finally bought a jar of this stuff. I pass by it almost every time I go to Whole Foods (probably because I ALWAYS go down the nut butter aisle). What stops me? 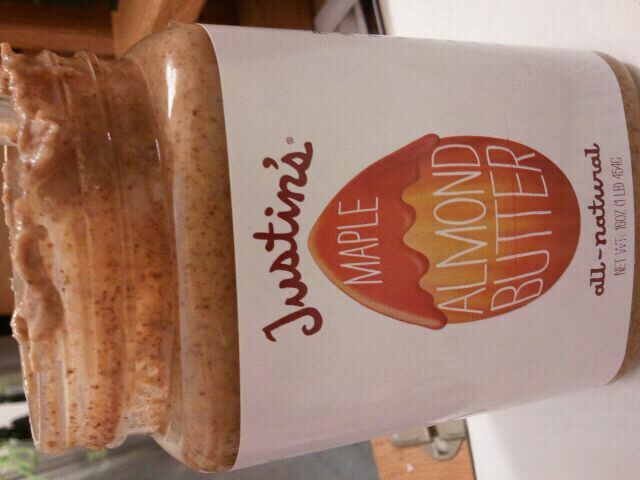 This jar of Justin’s Nut Butter was so good, so why not buy another? the 10 dollar price tag. My wallet cries everytime I buy nut butter. So pricy. But so worth it. Keep on crying, wallet. 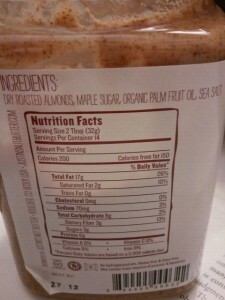 So I bought this nut butter, and home it went. I opened it up and noticed considerably oil separation, so a little stirring and I stored it upside down ( a trick I learned from a friend! keeps the oil on the bottom!!) until I got to try it. 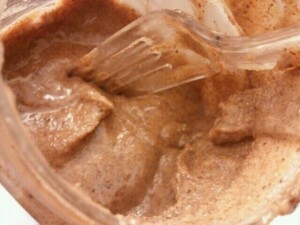 Yea I eat my nut butters with plastic forks. Don’t you? The first thing I noticed- it was THICK. I tried this when I was already a bit thirsty, and that was a mistake. It literally stuck to my mouth. So, have some water on hand! 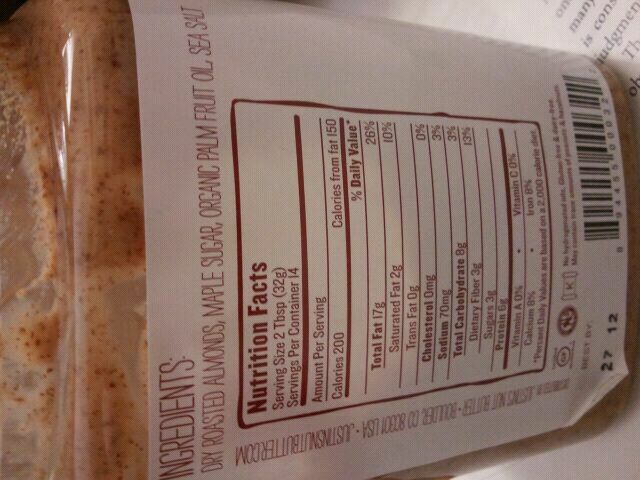 It had a mild sweetness, and mild maple flavor. The predominant flavor is definitely ALMOND. It has the gritty texture I find most almond butters do, and every now and then a rush of salty flavor would happen. It was a bit “pasty” but not bad. Whats the most you EVER spent on nut butter?? Yesterday, I decided to go to Target (haha I will admit, a lot of afternoons are spent at Target!). And then, I spotted it on the shelf-and I had to have it. 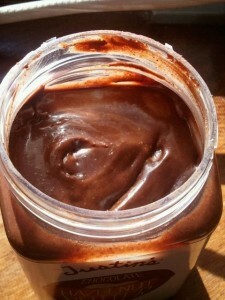 Justin’s Chocolate Hazelnut Butter. But ten DOLLARS? Was it worth the hefty price of over 10 dollars for a jar? I debated. Ah, why not? I stuck it in my cart, bought it, and took it home. I took a spoonful and gave it a taste. It was pretty good! The first thing I noticed was a bit of a salty zing it had to it. I wasn’t expecting any saltiness, just sweet, so it caught me a bit off guard. However, I liked it. It had a rather intense hazelnut flavor, balanced beautifully with some chocolatey goodness. I loved how smooth it was after I stirred it up, and it’s mildly sweet flavor. Yum! 4 stars. It was a bit pricy, but pretty good. I liked that it had some fiber, but it was a little low in protein. 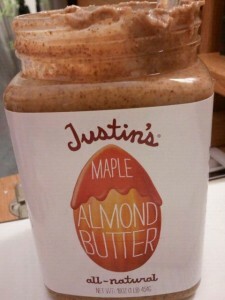 I’d probably get it again, but I don’t think I’m going to eat it as fast as I eat my other peanut butters. 2 tbsp is 190 calories, 16 grams of fat, 11 grams of carbohydrates, 3 grams of fiber, 7 grams of sugar and 4 grams of protein. 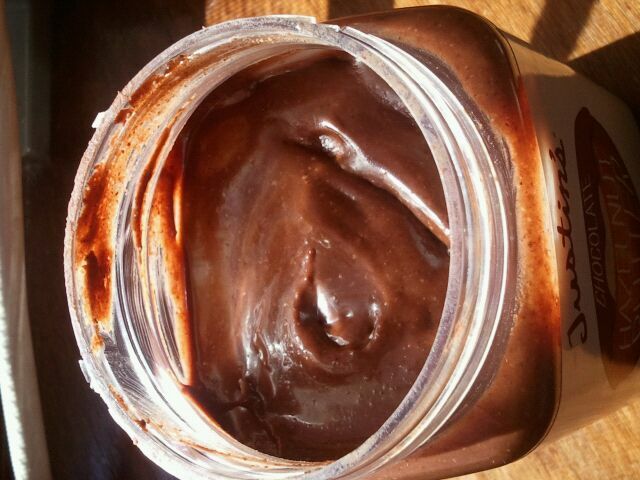 What’s your favorite way to eat chocolate hazelnut butter?Please leave me some ideas below! And… Last day to enter the Silk Giveaway here!